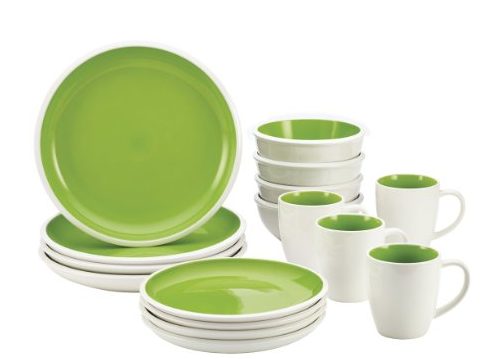 Rachael Ray 16 Piece Dinnerware Set Just $39.97! Down From $105! You are here: Home / Great Deals / Rachael Ray 16 Piece Dinnerware Set Just $39.97! Down From $105! You can grab this great set of Rachael Ray 16 piece Dinnerware for just $39.97! I love this pop of green! They are going FAST so get yours before they’re gone!